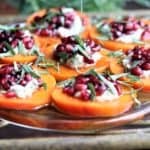 These Persimmon Maple Rounds are delicious as an appetizer or snack and even kids will love these bite size treats. Only available for a short time each year, persimmons are so sweet and delicious. You only need four ingredients and fifteen minutes and these rounds are ready to enjoy. Impressive and tasty and of course, vegan, gluten free and dairy free. 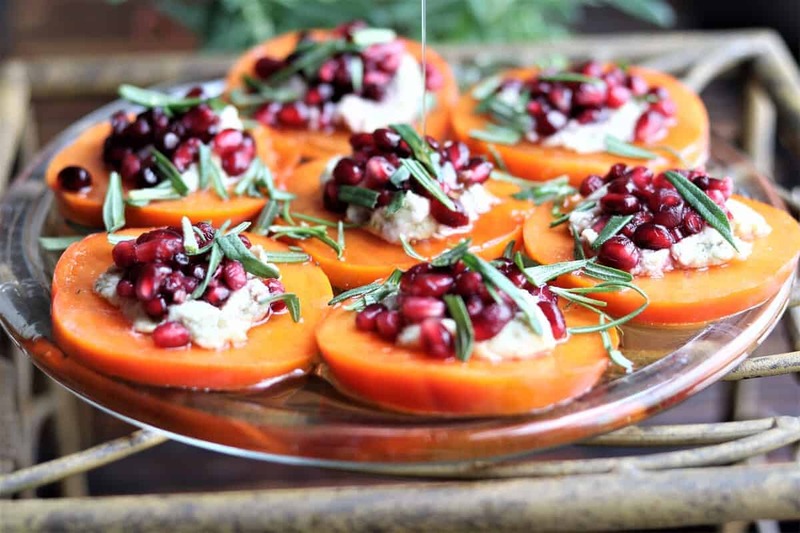 Cut persimmons into rounds and spread nut cheese.